From safety & peace-of-mind to convenience & style, our Vancouver electrician services & installation will help you to feel comfortable at home e increase your property's value. When you decide to use WireChief Electric - Licensed & Insured Electrical Contractor - for your electrical installations, renovation projects or new construction you are getting quality work, expert advice, lifetime labor warranty & friendly customer service by experienced electricians. We get it right the first time, we strive to deliver the most comprehensive electrical services in Greater Vancouver, including installations, upgrades & repairs. WireChief Electric Ltd. specialized in renovation projects in Greater Vancouver. With our experienced Vancouver electricians your renovation projects will be in good hands. We specialize in electrical risk & safety assessments for insurance purposes and your peace of mind. Our inspections compliant with insurance company's requirements. We offer a lifetime warranty on our Vancouver electricians’ workmanship*. We care about the quality of our work, and work hard to ensure our clients receive the best service. If there are any defects in our workmanship, and any further work is required, it will be covered under this warranty. Honest Service. Expert Advice & Clever Solutions. We embrace old fashion values of honesty, punctuality, mutual respect and cleanliness. 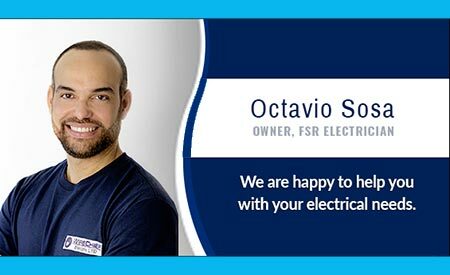 Our commitment to meet your electrical needs through innovative, cost-effective electrical solutions that suit your home, lifestyle, suit yourself. "Very happy with the experience I had with Wirechief Electric , the electrician was friendly and efficient. I highly recommend them for your electrical needs in Vancouver"